Ankara: Turkish President Tayyab Erdogan has announced that his country will not be afraid of United States action. 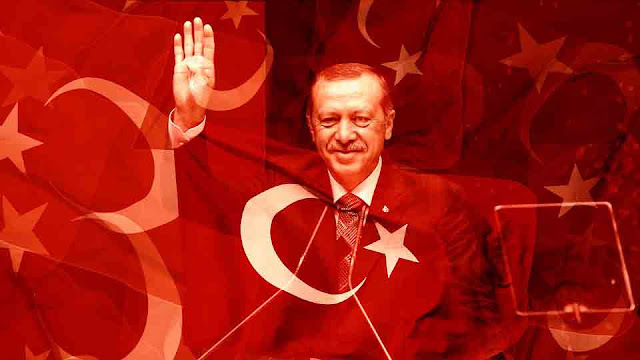 According to International News Agency AFP, Tayyab Erdogan referring to his ruling party 'Justice and Development Party' (AKP) in a meeting said, "We will not surrender ourselves in front of those who show themselves as strategic partners and at the same time they are trying to tackle us strategically." "Some people are threatening our Economy by restrictions, exchange rates, interest rates and Inflation, We are aware of your frauds for which we will fight with" He said. Turkey Official News Agency 'Anadolu' reported that participants in the meeting once again elected Tayyab Erdogan as the president of his party. Remember that the tariffs of the United States and Turkey were introduced on one another, when Donald Trump attempted to approve tariffs on Turkey to pressurize the Turkish President to release American pastor Andrew Brunson. Andrew Brunson was arrested due to his involvement in the rebellion against the Turkish President two years ago, and was later shifted from prison to under house arrest. The United States had banned 2 Turkish ministers on Turkey's move, in response to that ban, Turkey also banned 2 American officials. Due to this tension between the US and Turkey, the rate of Lira has dropped upto 40 percent by now. Due to lack of Lira's value, serious economic crisis in Turkey has caused, especially Turkish banking system is likely to be seriously affected.